Five years ago Mary Cunningham retired from a 38 year career as a credit union executive. She quickly found herself in great need of something to do. So… she decided to take several classes at a local community college – one of which was Oil Painting 101. After decades of focusing on left brain activities, Mary found the right brained creative activity highly engaging. She became captivated by the practice of a process that allowed her to experiment, grow and learn in cycles. 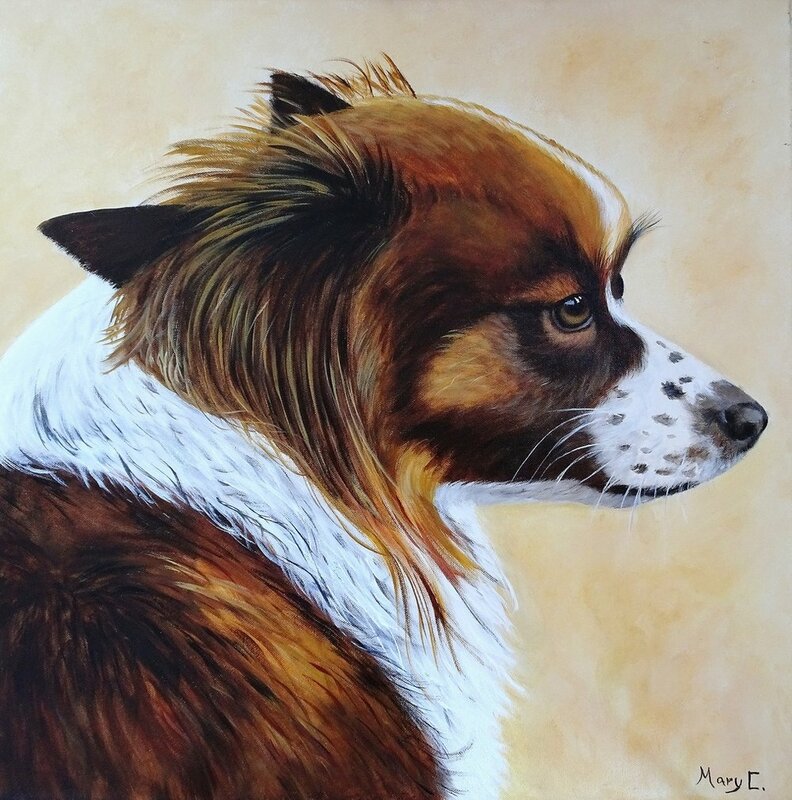 She now loves to explore a broad range of subject matter in her paintings, and has quickly gained recognition for her animal and pet imagery which is created on a commission basis. Mary considers her discovery of painting to be an uplifting gift that has given her a second vocation – one that she is passionate about. Mary Cunningham’s work can be seen at THE RED HOUSE exhibitions.